We are always open to receiving new recruits who are welcomed into the most suitable section for their voice. There is no formal audition but rather an initial uncommitted period which gives both the Musical Director and the hopeful, an informal opportunity to assess whether it is wise to continue. As the probation period continues and the commitment of being a chorister tested, there is a learning of the current repertoire leading to the giving of the choir uniform and then that never to be forgotten “first concert”. The repertoire is both Welsh and English (and a few other languages besides!) If you are learning Welsh, being part of a choir and learning songs in Welsh is a great help. 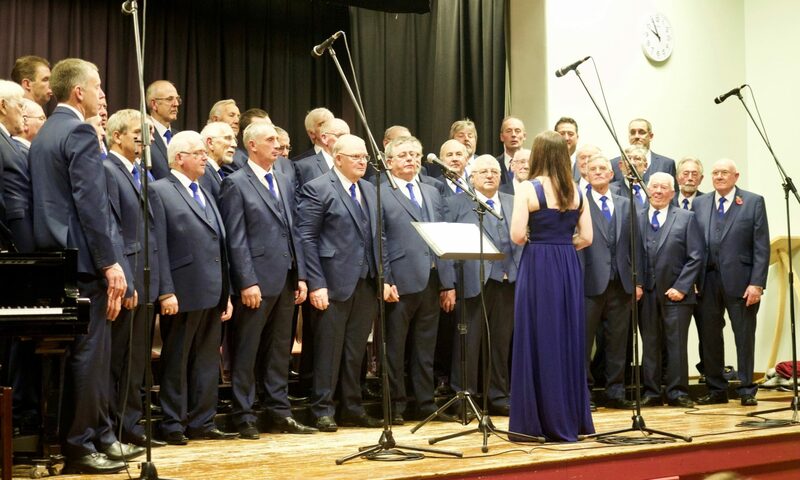 What a great hobby; to be part of a learning, creative group of men who really do make a contribution to the success of so many organisations who ask for our help in raising funds, while singing to their hearts’ content ! We rehearse on Wednesdays, 8pm, at the Village Hall in Penybontfawr.